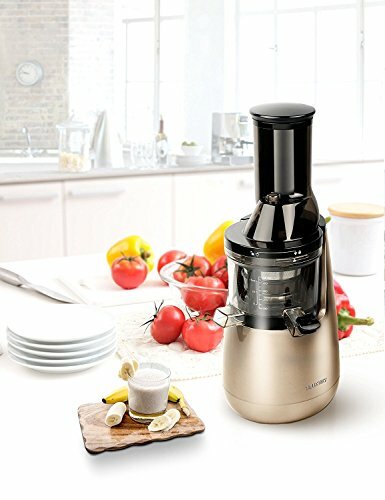 The low speed system does not mean a longer time to juice. 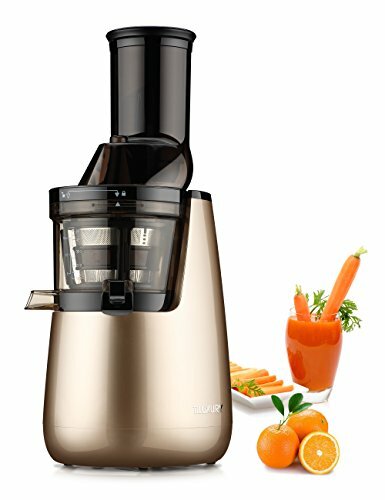 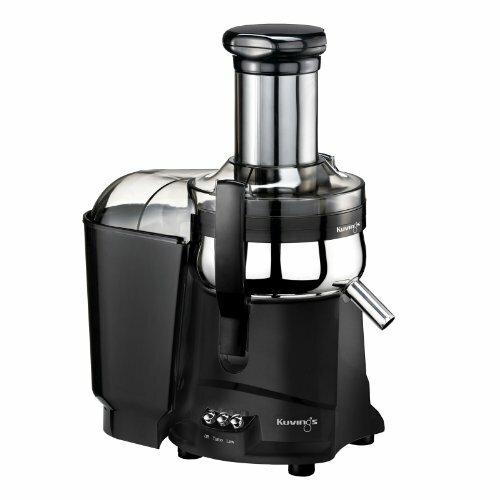 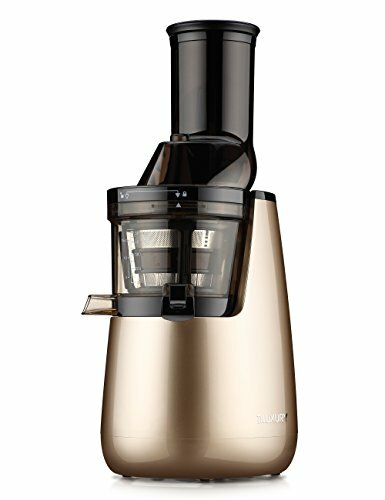 It means a more efficient juicer.More nutrients and antioxidants, plus better flavored juice and freshness. 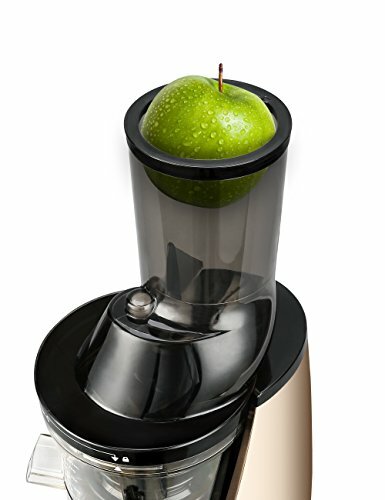 With this new 3-inch wide feeding chute, it will save you time on preparation, and decrease oxidation during juicing. 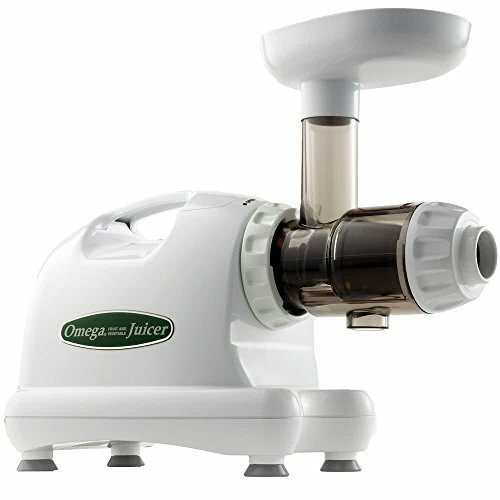 Large Pulp Outlet & up to 98% Juice Yield – No obstruction in pulping. 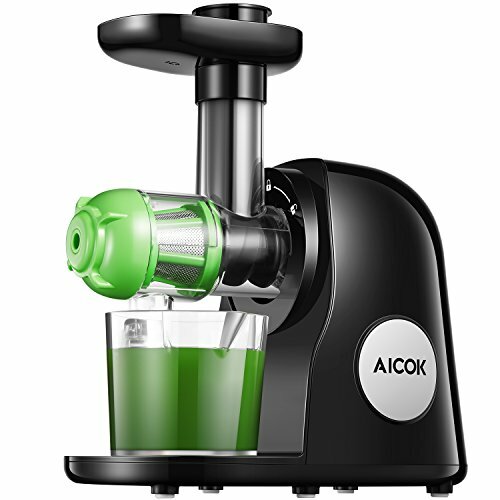 Masticating causes less oxidization, meaning better tasting juice. 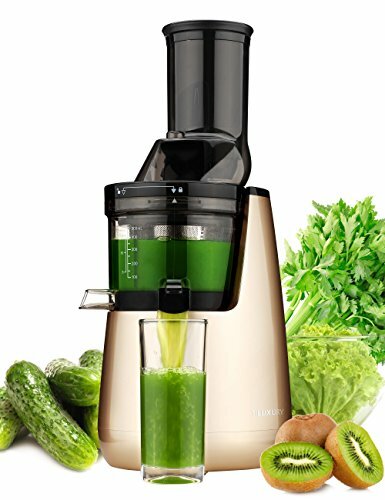 Enjoy healthy fruit and vegetable juices without sugar or harmful additives and without sacrificing taste. 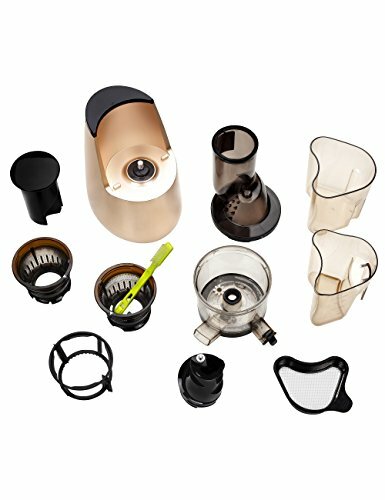 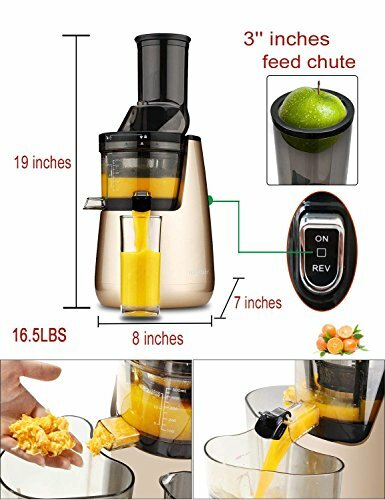 The Masticating juicer slowly cold presses ingredients, minimizing oxidation and preserving the taste and nutrients often lost with high speed centrifugal juicers. 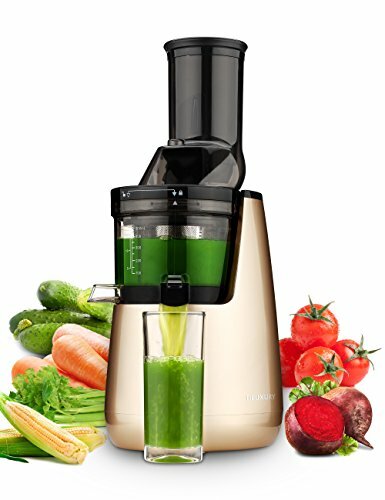 wide mouth makes clogging a non-issue. 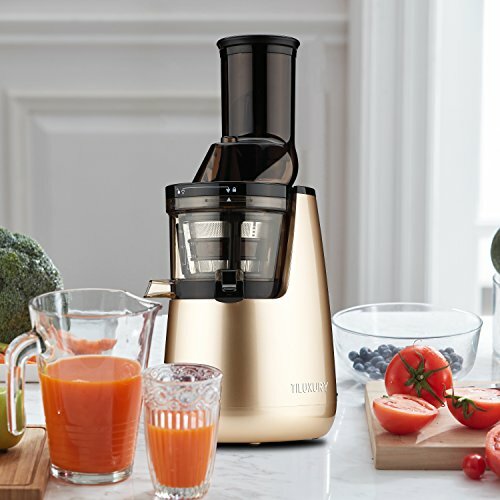 Juicing your antioxidant rich super-fruits & vegetables is easy, quick, and the pieces are dishwasher safe for easy cleaning!